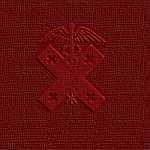 The 93rd Evacuation Hospital - Lineage & Honors ! Constituted July 1923 in the Organized Reserves as the 61st Surgical Hospital. Withdrawn January 1, 1938 from the Organized Reserves and allotted to the Regular Army. Activated June 1, 1941 at Fort George G. Meade, Maryland. Reorganized and redesignated August 20, 1942 as the 93rd Evacuation Hospital. Redesignated January 8, 1943 as the 93rd Evacuation Hospital, Semimobile. Inactivated December 12, 1945 at the New York Port of Embarkation. 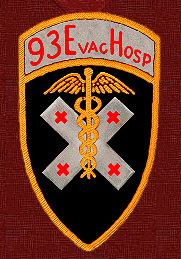 Redesignated November 23, 1954 as the 93rd Evacuation Hospital. Activated January 17, 1955 at Fort Riley Kansas. Deactivated July 17, 1994 at Fort Leonard Wood, Missouri.